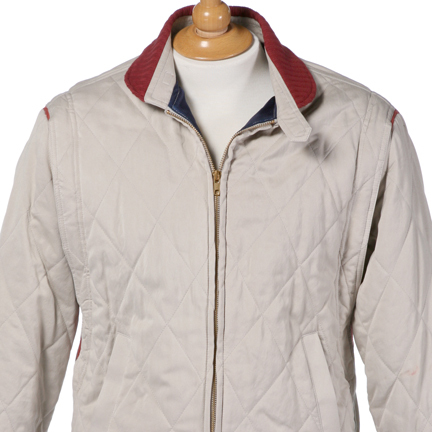 This jacket was made for the character "Driver," portrayed by actor Ryan Gosling, in the 2011 motion picture, "Drive." 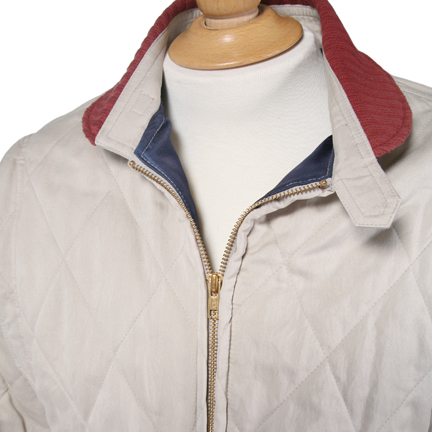 The item is a custom-made light grey quilted jacket with a dark blue lining, hand-distressed by costumers for screen tests. 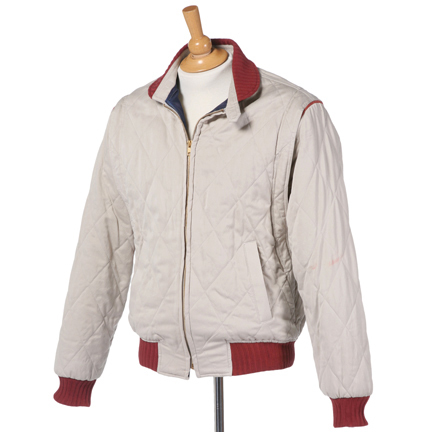 This was one of three custom jackets prepared for the film before a final design was chosen. 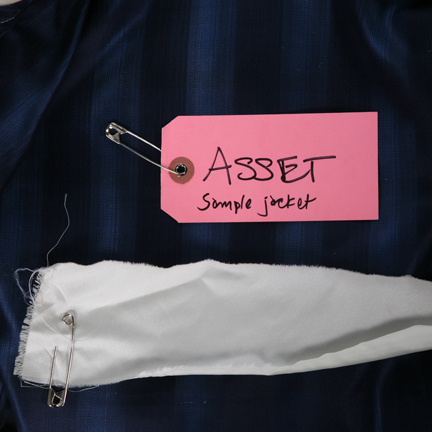 The original costumer's tag is attached noting the item as “ASSET, Sample jacket”. 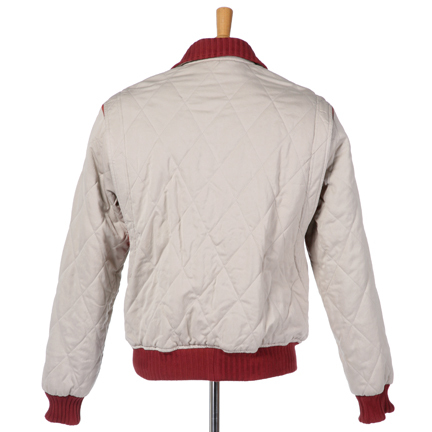 This jacket was not screen worn in the film, but test photographs show a similar style being worn on Mr. Gosling. 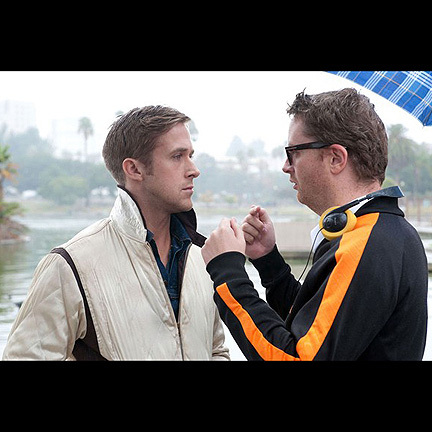 Throughout the film Mr. Gosling can be seen wearing his signature “scorpion” jacket. However, before that look was determined, sample jackets were made as options for the character. 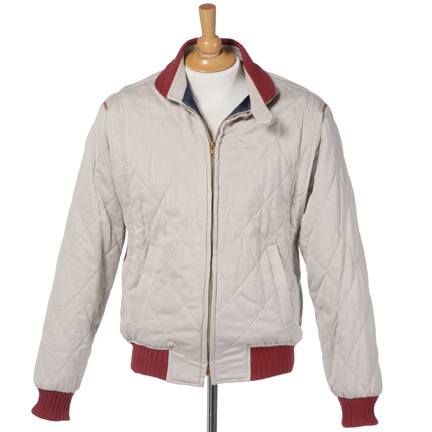 The garment is in great sample condition and was acquired directly from the production company. Accompanied by a letter of authenticity.